Rudolph’s nose light is worn out, and Nome, Alaska, the last stop on Santa’s around-the-world delivery run, is socked in with a bad snowstorm. The good children of Nome must have their toys. But who will deliver them? 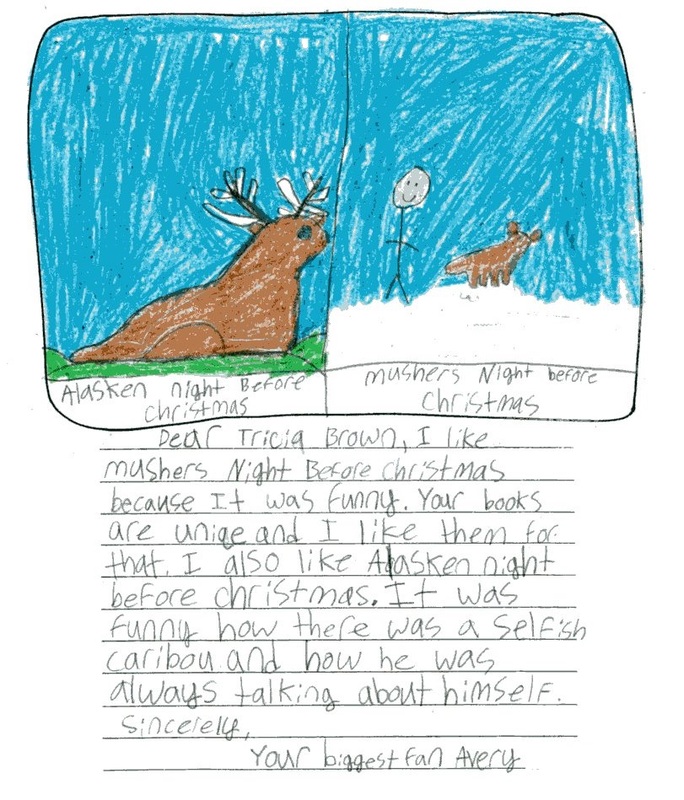 Santa remembers a grown-up boy named Tom, a dog musher who lives on the Iditarod Trail. He alights on Tom’s roof to ask a favor: could Tom and his team take it from here? 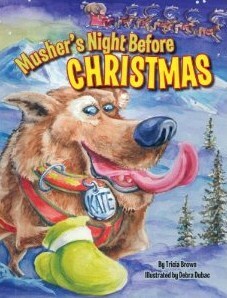 It’s a night of adventure for eight determined sled dogs led by a female named Kate. They have competed in the Yukon Quest, the Iditarod Trail Sled Dog Race, and many more, but now the children of Nome are depending on them for another impossible run. Named after some of the most famous mushers in modern history, this crew is out to make Santa’s nice list with the perseverance demanded by their sport. Also please check out Alaskan Night Before Christmas for another Alaskan-ized version of the old holiday favorite! Here’s some mail from a fan of my Christmas books. Thanks, Avery! !